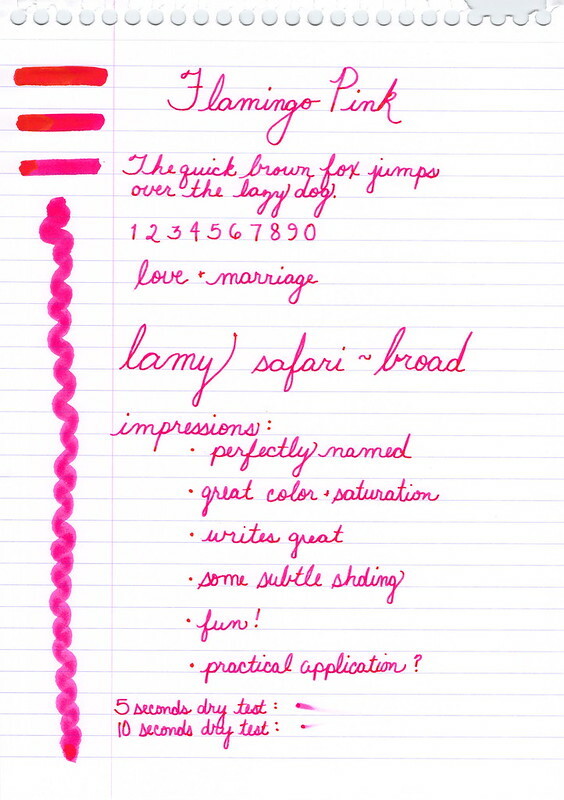 This is my second look at Diamine Flamingo Pink. Here’s my first test run of this fabulous color. I really didn’t think I’d ever buy a pink ink. I mean, seriously? Pink? But how could I resist this perfect color? It’s bright! Bold! OMG! Serious color. Seriously serious color. And do you see it? That pink-to-orange shading? It may be glowing a bit in my scans, but the color is there – it’s an orange-ish pink. And it is…wow. I’m swooning over here. Can you spot the write-o? 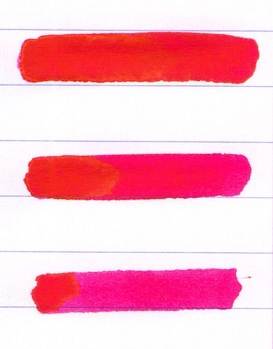 This entry was posted in INKS, LOVE and tagged diamine, pink by Christine (Pentulant). Bookmark the permalink. I do love pink ink – and this one is gorgeous! I like the shading, too. Another to add to my inks-to-try list. Thanks! I really like this. So bold and bursting with color. I'll add it to my list of samples to buy. Just coming back to this page and seeing that ink makes me sad that I don't have it in a pen right now. Going to have to rectify that! Thank you for your comments, Jackie and Majokie!